Our family cannot say enough about Saint John School. We were looking for a faith-based, small school experience that provided a rigorous and relevant educational experience for our children. What we found at Saint John School was that and so much more. Saint John School has a wrap-around approach when delivering educational content to our children, in a family-like environment supporting the whole child for success. Saint John School maintains small class sizes allowing real relationships to be built between student and staff and not only provides students with current curriculum, NGSS/STEM focus, faith-based values, but also many other elective possibilities. 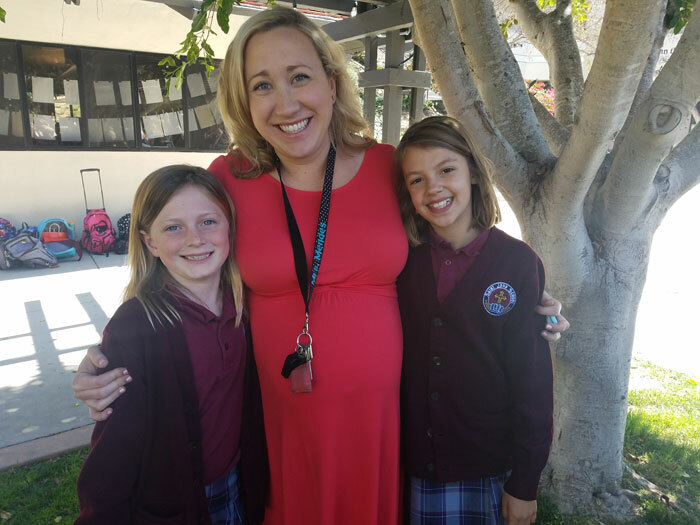 We are proud to say that our children are thriving at Saint John School academically, but also spiritually as they become future Catholic leaders.